This Tutorial show user how to use the workflow rule engine to build business logic into the interface. It show why you need to use workflow and how you can control the flow of interface processing. Both have different concept and have nothing to do with each other. Here we using Workflow in Skyvaa. Skyvva workflow rule define Rule and Condition based processing for interfaces. Create two interfaces i,e Account and contact. Link parents child relationship between Account and contact Interfaces. Note: Workflow conditional result i,e true or false is depend on the sample data in Istructure . If sample data is available and matches to the condition then result is true otherwise it is false. How to use SKYVVA workflow rule? Workflow is use to push data base on condition, and the condition bases on Interfaces. Then click on Test Formula to see the result and as a result in Account, it is True because there is an Account data that belong to Account. Then click on Test Formula to see the result and as a result in the Formula, it is False because there isn’t any Contact data belong to Contact in Workflow. Please, go to Manual Load and upload data as an example in the picture. 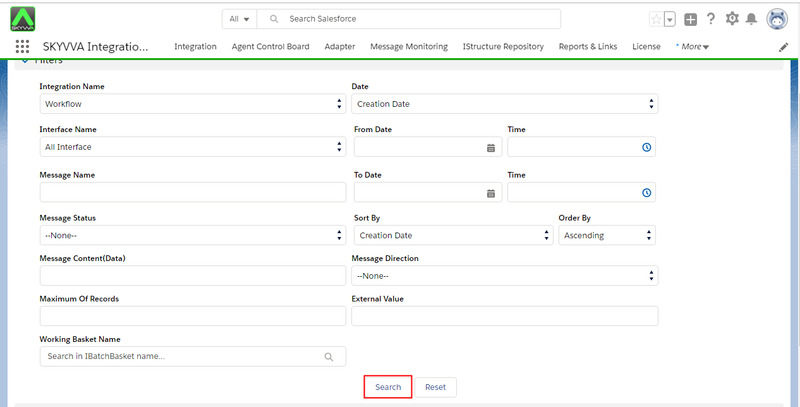 If the message records don’t meet the condition of Workflow it will show Pending in the Message Monitoring.